Depend on us for peace-of-mind expertise, increased uptime and continuity of operations – customised to your lab without budget surprises. Our technical service team is equipped with the global knowledge and tools to support your organisation when instruments require repair, service and calibration. You can be confident our NATA accredited laboratories will have your instruments working in accordance with manufacturers’ specifications. We also carry out non-NATA traceable calibrations should that be your requirement. Our convenient calibration agreements will ensure you are always notified when your assets are due for calibration. In addition to our in-house capabilities, we have an onsite non-NATA traceable calibration service to minimise downtime and eliminate risks in transit of your sensitive equipment. As the world leader in serving science, we set the standard in service excellence, ensuring that you get the best out of your equipment every time, everyday. Our world-class teams are dedicated to delivering the highest levels of technical support and customer service, as well as maintenance to keep your instruments and equipment operating at peak performance. Start faster and go farther with services from the experts in serving science. We take the guesswork and needless expense out of the services budget by making sure that your instrumentation is always functioning efficiently, is up to date with software updates and replacement parts are available when they are needed. Our proactive and comprehensive support plans are designed to benefit our customers with priority support and scheduled preventative maintenance. Check the calibration of your pipettes regularly, depending on the frequency of use and on the application, but at least once a year. If used daily, a three-month interval is recommended. 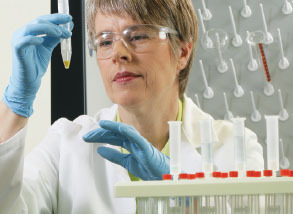 Use our Online Pipette Calibration Tool and learn more about our Pipette Service Centre.